Last night was rough! My little man caught the flu from his Daddy and we woke up at 1am to the sound of vomiting coming from his bedroom. It was an all night affair. I think I did 3 loads of laundry in my sleep. I can’t stand the smell and I can’t just leave it until the morning. He’s napping now – finally. So I’ve taken this time to myself to forget about the events that took place in the wee hours of the morning. 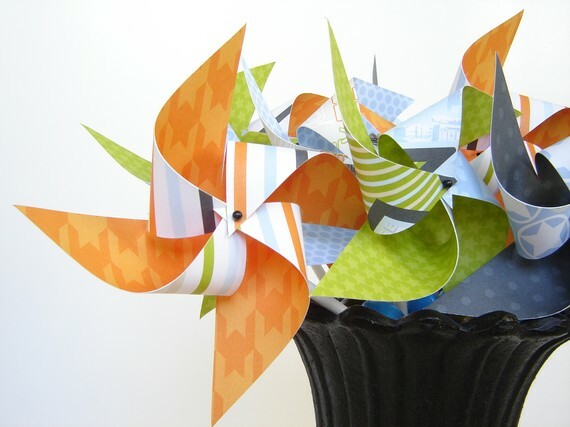 Twirling pinwheels from Twirliewhirlies – they have so many sizes and colors to choose from. 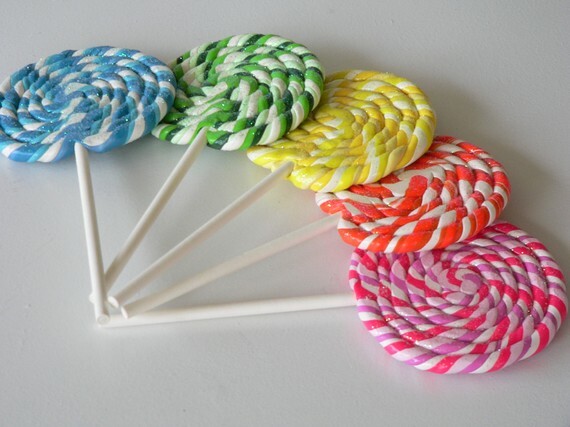 Big Swirl Clay Lollipops from BoMoLuTra- you could use real ones I suppose but that would a lot to keep purchasing. These you could keep reusing. 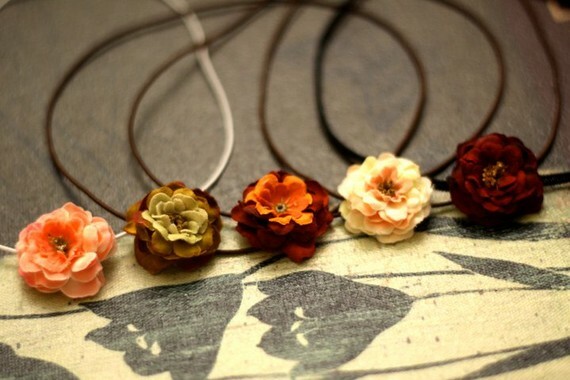 Dainty Petite Rose Headbands from Chicpretties – These are on SALE. You get 5 and you can pick your colors for only $20! And check out their other items too. They are beautiful and very reasonably priced. 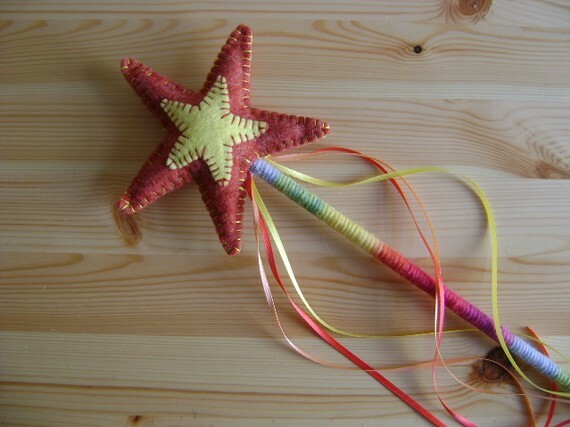 Star Rainbow Magic Wand from Adolina – What little girl wouldn’t like a princess wand?! I’ve been searching for ideas for pictures. Fun things for kids of all ages. I know that with most kids the way to get their attention is to give them a new toy that they don’t have and that will amuse them for a little while at least. Recently I was at a friend’s house for a birthday party and “C” was in his glory with all the toys, they were all new and exciting to him! So I’m thinking that if you have a bag of tricks to show the kids and let them pick their own piece you can really capture their personalities. This is kind of random but along the same lines…I used to work at the dental office my mom is a hygienist at and they have this “treasure chest” of prizes for kids who are well-behaved when they have their teeth cleaned and I used to love to see their faces as they opened the chest and chose their prize. Their eyes would just light up and you could see them thinking and about their decision by the way their eyes frantically looked around at each and every prize…so I would imagine kids would have the same feeling if you offered them a choice of “prop/toy”. Now I can’t go around purchasing every single thing I love on Etsy because I don’t have my own business and my peanut is too little to use half of the things I love. It would be a waste for me. But I can dream! There are some things that will cave in for and purchase if I can use it with “C” and then hope to get more use out of some day. Now that I have my trunk from Home Goods I will use it for storage of my goodies that pick up. My very own “treasure chest”. Hope you enjoyed looking at my finds…I would love to add them to my treasure chest!